When N.C. State canned former head coach Tom O’Brien at the end of this past season, they gave him a $1.2 million buyout of his existing contract. That buyout included a non-compete that prohibited O’Brien from coaching in the ACC through 2015. Evidently, after being head coach at State and Boston College and taking his teams to 11 bowl games in 16 seasons, O’Brien was looking to go back to work and doing so cost him a cool million. N.C. State agreed to waive the non-compete in exchange for lowering the buyout to $200,000 when O’Brien agreed to join Virginia’s Mike London’s staff as associate head coach and tight ends coach. O’Brien served as an assistant under former Virginia coach George Welsh from 1982-1996, hired London as a defensive line coach at Boston College in 1997 where the two worked together for four seasons. 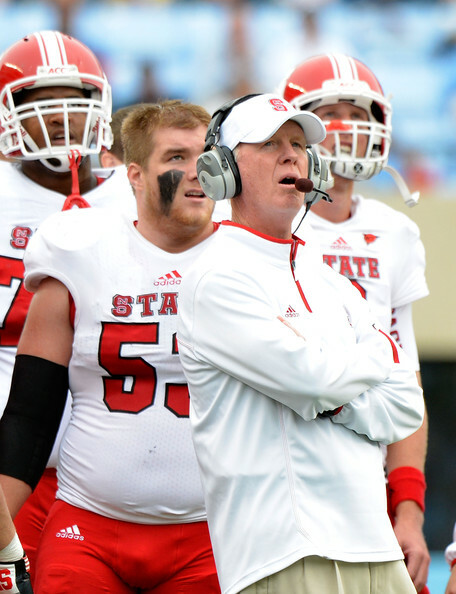 O’Brien, 64, was fired by North Carolina State last month after the Wolfpack finished with a 7-5 record. Much of O’Brien’s staff remained in place to lead the team in its loss to Vanderbilt in Monday’s Music City Bowl, but one member will now join him in Charlottesville. Former North Carolina State associate head coach and linebackers coach Jon Tenuta has also been named the associate head coach for defense and will serve as the team’s defensive coordinator. Tenuta, who played defensive back and spent two years as a graduate assistant at Virginia, has previous stints as a defensive coordinator at Notre Dame, Georgia Tech, North Carolina, Ohio State, Kansas State, SMU and Marshall during 32 years as a college coach. The Washington Post reports that O’Brien agreed to a two-year contract for $450,000 annually. The Naval Academy grad will also receive a $150,000 signing bonus and is eligible for a $300,000 bonus at the conclusion of the deal. Tenuta agreed to a five-year contract that will pay him $500,000 annually.